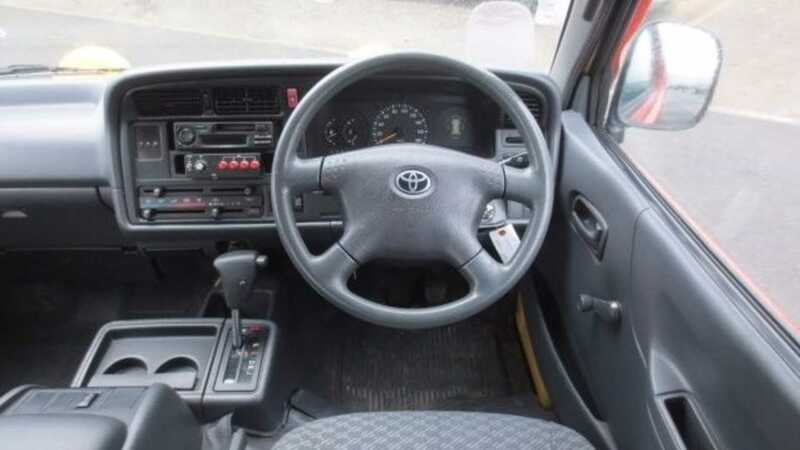 How Much Is That Toyota Hi Ace In The Window? Feeling brave? 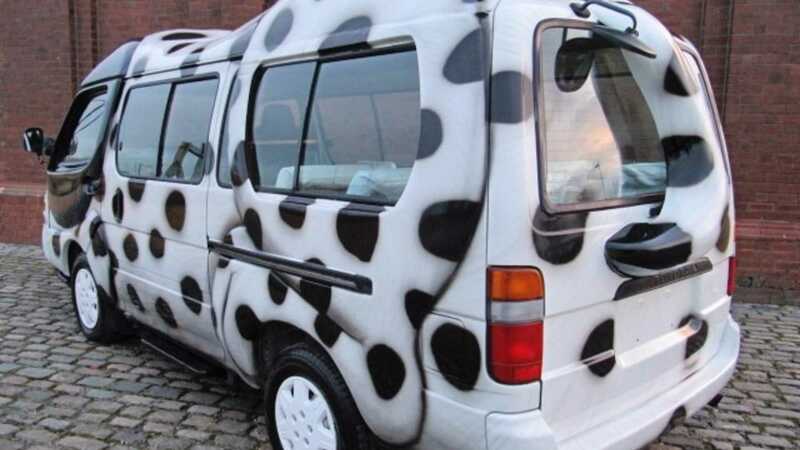 How about taking on this 2000 Toyota Hi Ace 10-seater van perfect for dogging activities? If this 2000 Toyota Hi Ace appeared in your rear-view mirror, you could be forgiven for believing there was LSD in your coffee. 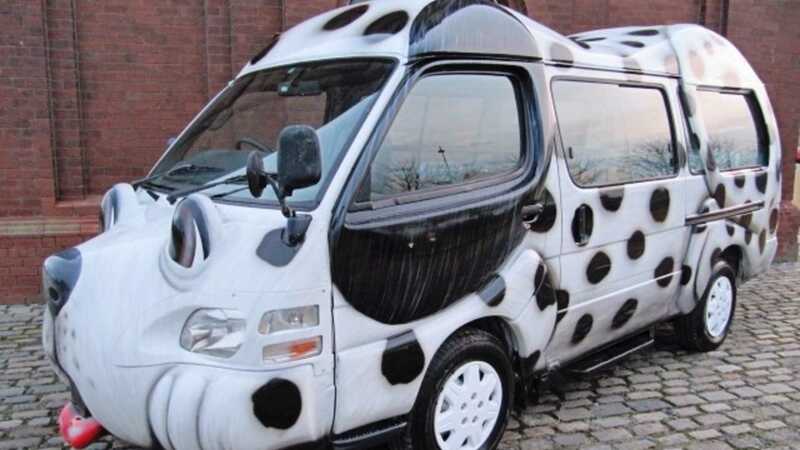 Sporting the sort of modifications adored by fans of Dumb and Dumber, this Japanese equivalent to Hollywood’s dog van could just be the greatest head turner out there. A bit like all of culture’s most sinful automotive creations, this one has a name. 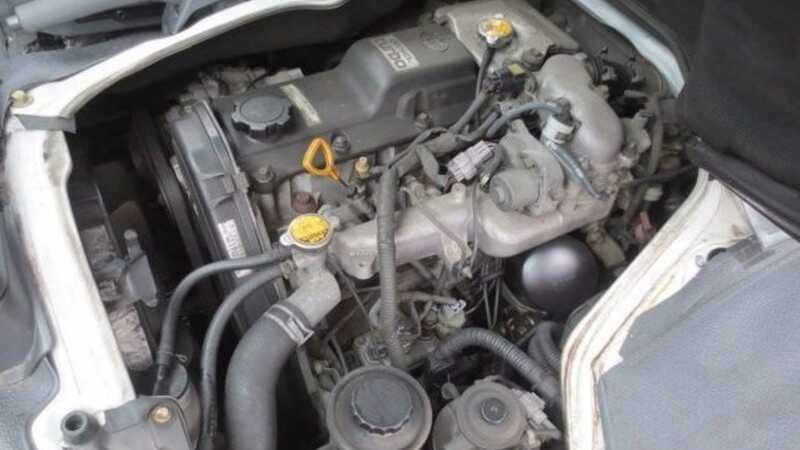 Meet Diesel, so-called after – you guessed it – that 3.0-liter diesel unit lurking beneath that unique frame, mated to automatic transmission. There are 105,000 miles on the odometer. 105,000 shameful, shameful miles. 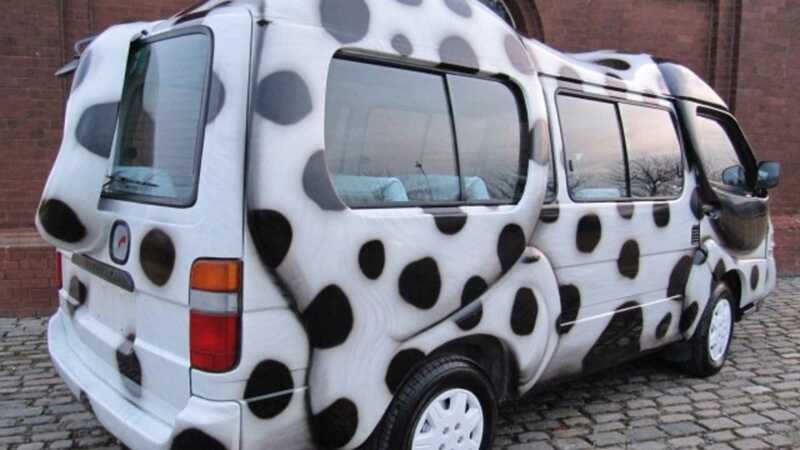 However, while the design may not be to everyone’s taste, the dog van does boast several upsides. 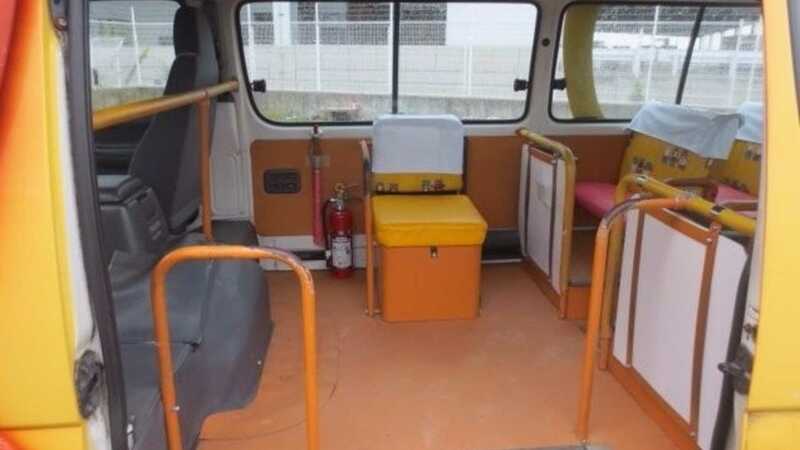 First off, the minibus is in excellent condition, having freshly arrived from its native Japan. 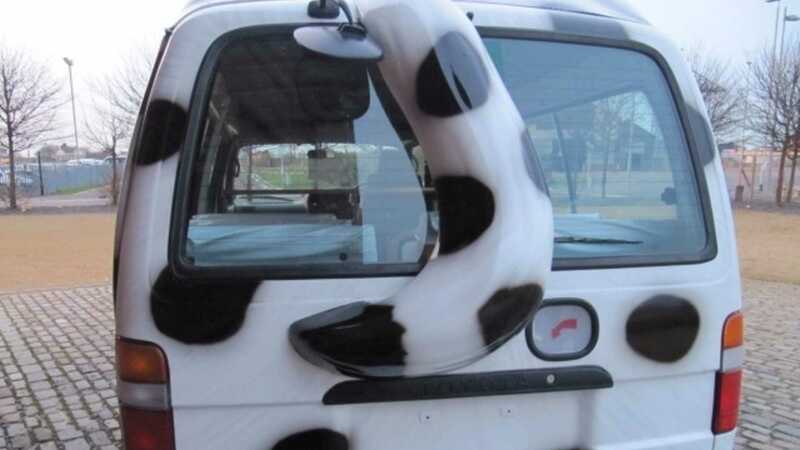 There’s also enough practicality to house all manner of activities – making it the perfect travelling companion for dog groomers and dog walkers, or those who run a questionable theme park or undertake promotional events. 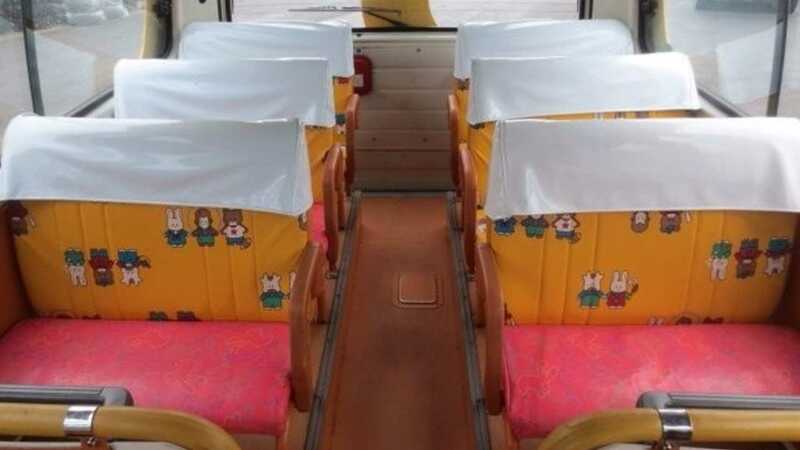 Furthermore, if you enjoy scaring the elderly or subjecting young children to a fortnight’s worth of nightmare fodder, then you’ll be glad to know that this 10-seater minibus can be acquired for only £14,999. 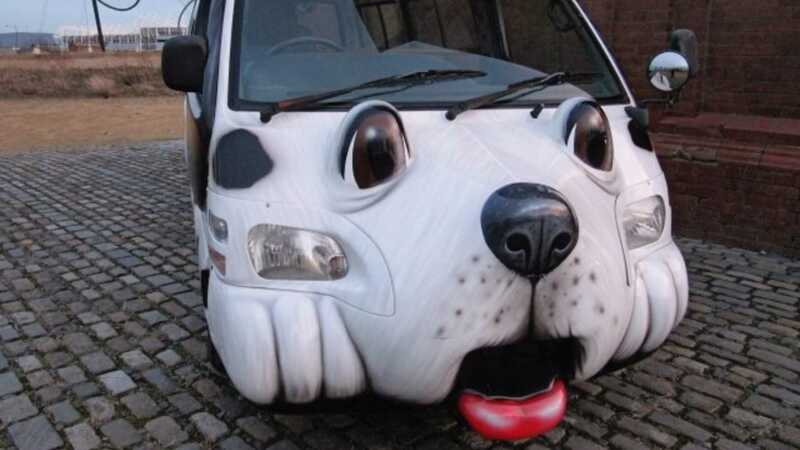 That said, while the price remains attractive and the vehicle boasts rude health, the ultimate dog wagon presents a number of drawbacks. Besides the bodykit destined to leave complete strangers judging your mental well-being, the Hi Ace handles like a Labrador post-stroke. Even in bog standard form, Toyota’s van offered all the stability of an Enron investment. Undertaking a corner – whisper this quietly – or a roundabout, and you had the propensity to perform a rollover even Lassie would be proud of. We do wonder how badly the extra bodywork adds to the handling capabilities. That said, who cares? 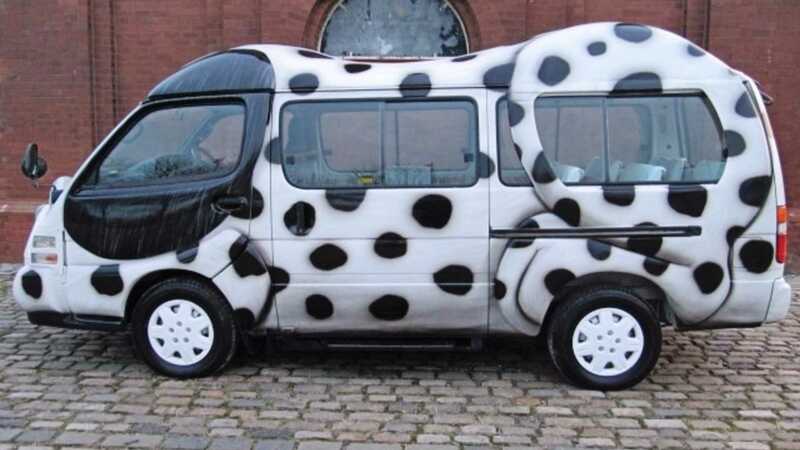 Unless you happen to be Pennywise the Clown, nobody will opt to drive the dog van vigorously. This is for pottering around town, absorbing everyone’s attention. Forget cruising around with a Lamborghini – this is the true definition of headturner. And if you head out at night, you’ll look far more intimidating, too. 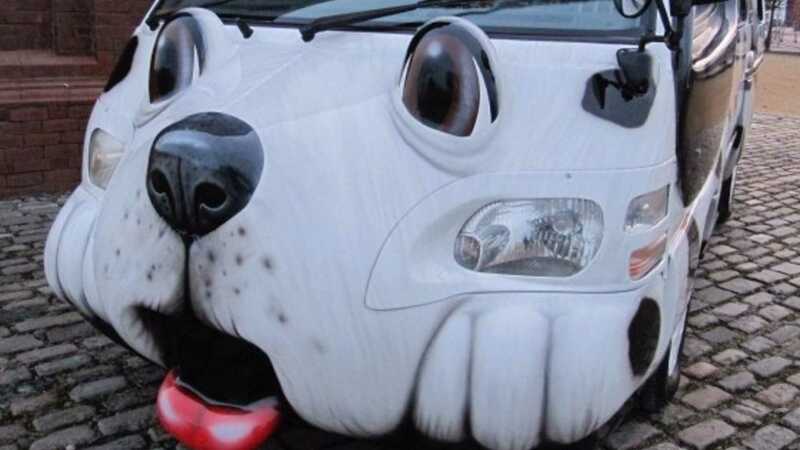 Boiled down, the dog van is a highly practical minibus for those without fear. 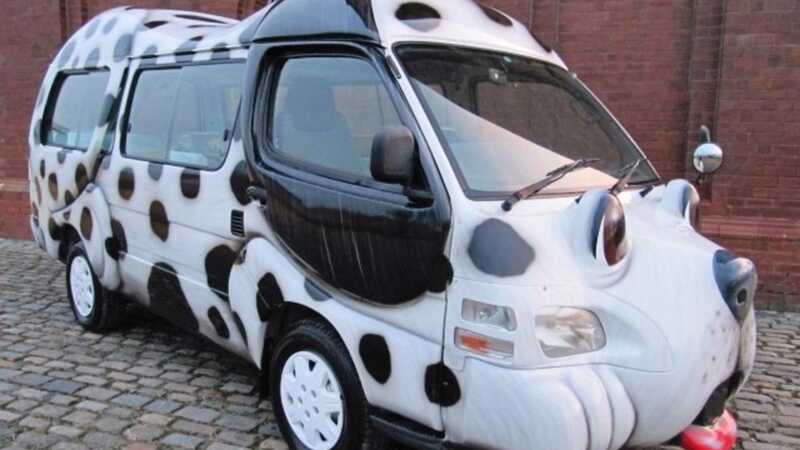 Perhaps the only one of its kind, certainly on UK soil, this would make the perfect vehicle for any form of dogging activity. There. We said it. Fancying rehoming this one? Get a closer look here.